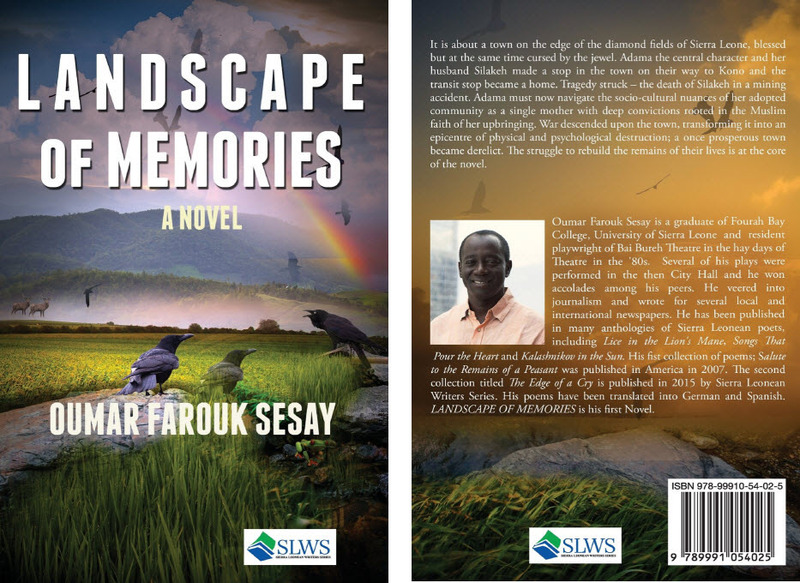 ***Updated January 16, 2016***In his first novel, “Landscape of Memories” (2015), Oumar Farouk Sesay has melded his boundless talent for playwriting and poetry with prose to write a stunning story featuring the most defining issues of our time: migration, identity, and common values of community. In a recent WhatsApp interview, the author said the transition from poetry to prose was a difficult one. "It seems poetry comes easily to me and I use that and my experience as a playwright to navigate through. It took four years to finish Landscape," Farouk Sesay said. Although Sesay skips the headline-grabbing Jacob Lawrence type scenes of “black bodies in motion, in transit, and in danger,” to borrow Edwidge Danticat’s language, the Landscape of Memories author doesn’t skimp on the reasons why his protagonists leave home looking for opportunities. Adama, the novel’s matriarch, left Mali as a young bride with husband, Silakeh, to find riches in the diamond fields of Sierra Leone. The couple ended up, Danticat noted in a 2015 cultural comment, as Toni Morrison described in her Nobel lecture, on the edge of a small town that could barely bear their company. That town, Masingbi, which means garrison in Kuranko, a language spoken by an ethnic minority in Guinea and Sierra Leone, is the location for Sesay’s volatile story of tragedy, loss, and love. Landscape covers the uncertain world of migrants, drawing on the lives and expectations of a close-knit band of people from Mali, Senegal, and Gambia, who trekked to the diamond fields circa 1970. On the surface, Sesay's novel starts off with a passing visitor entering an old town in post-war Sierra Leone. As the story unfolds we learn more about the townspeople, who are either directly engaged in diamond mining like the notorious Kafri Kamara and his hired assassin and executioner, Timber jack; or those in other town activities. In that core group are Baba the Muslim scholar, and his companion, the village Pastor; Pa Sadique, the Pakistani missionary, Raka, the doomed bankrupt, Teacher Conteh and the Paramount Chief, Lamina the street cleaner, and the tragic Sundiata. Through their intertwined lives and fortunes, we are taken back to myths on how the town grew, how power concentrated in particular sections, with certain functions like education and administration in others. As the dark, tall, mysterious Adama scours the changing landscape of memory in the mining town her long dead husband brought her many years ago, we encounter neighbors and townspeople oftentimes pitted against colliding cultures, old traditional rivalries, or cultural and religious tensions. "The more I read Landscape the more I believe that it's what was fleetingly called 'faction' in some literary criticism - a mixture of facts and fiction, a blurring of the lines between the facts of people and the fiction of lives imagined," wrote Mohamed Gibril Sesay, author of This Side of Nothingness, former sociology professor and current government of Sierra Leone minister. The two Sesays may be distant cousins. 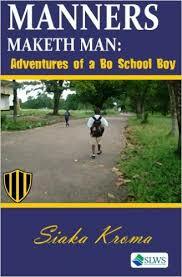 "It is biography fictionalized, an attempt to revive a burnt landscape of memories, to grow new seeds of wisdom on the fertile ash of a burnt field, seeds about humanity, faith, hope, rekindling, resilience," Dr. Gibril Sesay said. Speaking of one of the most symbolic totems invoked in Landscape, he said "That rock, that stone of memory becoming the head corner stone, a Kaaba for reflection, a direction unto sanity, a stone of remembrance, is not unlike the stones or boromesar so central in Themne spiritualities of recollection, of links to ancestors, for support in dire times, for rootedness in the migrations of the new times, the migrations of values and more and more," Gibril Sesay said. While Farouk Sesay admits he grew up in the real town of Masingbi in Sierra Leone, he told Vitabu in the WhatsApp interview that his book Landscape of Memories is more "the biography of a place and a people." "The lines between fiction and fact are blurred because it's very difficult to disaggregate or draw a definitive line between them. A single event may carry fact and fiction in equal measures. 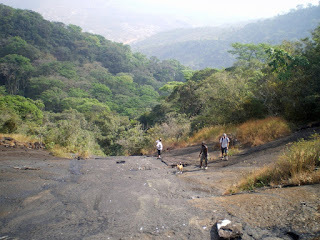 The places are real, some of the characters are real, but placed in a fictional situation. "Life is a massive manuscript," he added. "We make skits out of the manuscript and call them ours. For a writer, every thing you see or hear or imagine can be used in a script one way or the other. Nothing goes to waste in the mind of the writer." "I hope to publish two collections of poems this year, Broken Metaphor and a yet unnamed collection though almost complete," Farouk said. "I am trying to put together my old plays into one collection. The problem I have is getting copies of those early manuscripts. 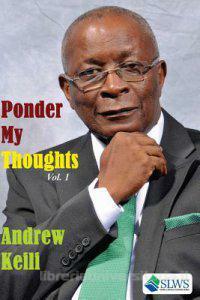 I hope to collaborate with fellow playwrights to publish the iconic plays of yesteryears."